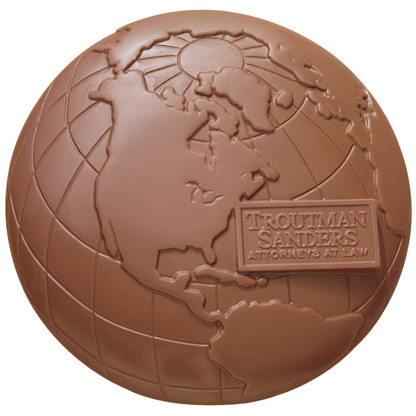 Delicious and memorable, chocolate globes are a sophisticated and creative alternative to traditional promotional items or corporate gifts. The memory of a delicious piece of chocolate lasts, as long perhaps as the memory of a superb meal. But most importantly, people remember where the chocolate globes they received came from. 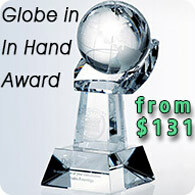 This huge 9" diameter two pound chocolate globe is sure to leave a lasting impression. Please note: chocolate globes are not completely round and are flat on bottom. Delicious kosher dairy Nestl? 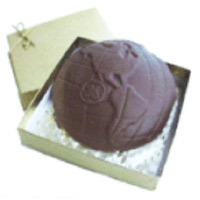 chocolate fashioned into chocolate globes to exceed your expectations. 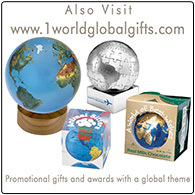 Each 2 lb chocolate globe is placed in a a gold or silver gift box with deluxe matching ribbon. 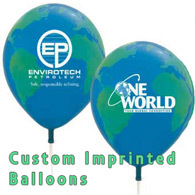 Custom imprint each chocolate with your company or organizations logo, gift boxes can be hot stamp imprinted.